1. Maximum number of Participants: 30 competitors/15 teams (competitors will fish as teams of 2 competitors). 4. Eligible fish species: Rainbow Trout and Brook Trout. 5. Minimum length for scoring points: 25.0 cm. 6. Number of sessions: 2 Sessions. 7. Time Period for each session: 3 hours. 8. No-Fish-Period: This venue is closed for all competitors as of 6:00am on Saturday, April 8, 2019. 9. 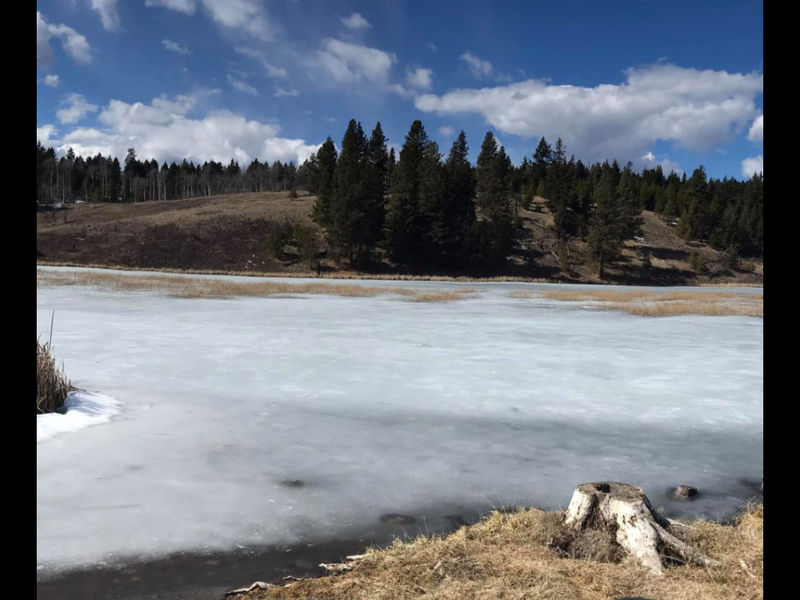 Motors: The use of gas motors is permitted on this lake. 10. Flies must be out of the water when the boat is under power (while rowing or motoring). 11. Competitors, while fishing, must remain seated, and may use a seat with a cushion of a maximum depth of ten cms, and back rests. 12. Medals will be presented to the top 3 competitors and teams at this competition. Competition Points: 600 point scale on the British Columbia Competitive Fly Fishing League's Leader Board (1 day event based on 24 participants). Competition requirements: Minimum of 24 competitors required to maintain 600 point scale. FFC Competition Status: Level 5 Mini-competition with a point scale based on the NRPs of the top 5 competitors (550 maximum point scale). • Registration is accepted on a first come, first served basis. • Competitors must email Todd Oishi at: info@innovativeflyfisher.com in order to register for this event. • Competitors that are submitting registration must be 100% committed to attending this event!. • Registration fees are due in full and must be received by Friday, April 5, 2019 in order to officially complete the registration process and secure your spot for this competition. • Team captains or managers are responsible for submitting a single payment for both members of their team. I can arrange loaner drogues and thwart boards for those who need them. Please post a request so I can track the numbers and ensure that I bring enough for those that need to borrow them. This competition will allow participants a unique opportunity to participate in a friendly-spirited competition, and to gain some additional competition experience. 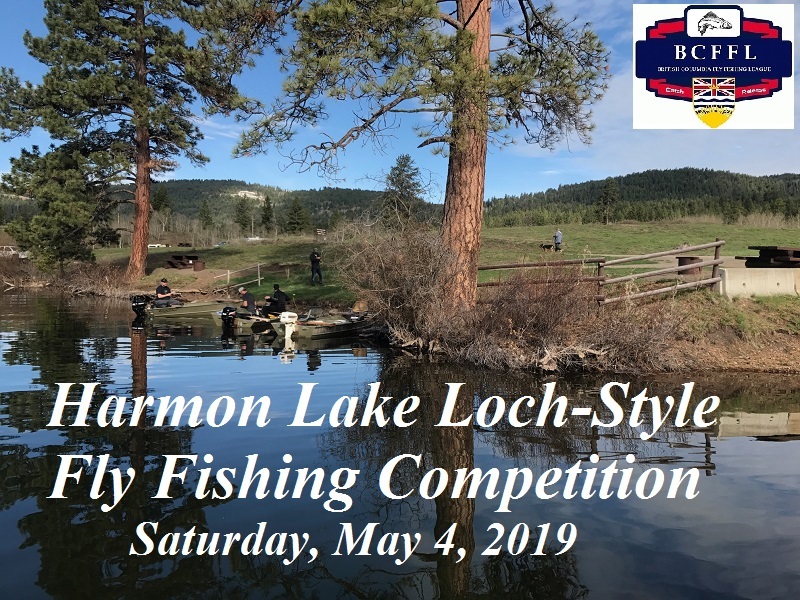 This will be the first loch-style competition of the 2019 season for the British Columbia Competitive Fly Fishing League's Leader Board. Please mark this event on your calendar and respond here or email me at: info@innovativeflyfisher.com to confirm that you're interested in attending this competition. We really want to encourage newcomers and fly fishers of all skill levels to come out to this fun and social event, and see what this competition and our group is all about. No previous competition experience necessary. It's going to be a fun and informative event, so don't delay and sign-up today! 8. Stanton Jack - winning attitude! Team Lunkwa (Ken and l) will be there in harmon(y). Evan Paterson and I will be teaming up for this event, and we have a boat and motor. Just a friendly reminder to everyone participating in this comp. If you are planning on buying your FFC membership for 2019 ... please do so before this event to avoid the newly imposed $5 event fee for nonmembers. READ this thread for details. Wow! We might have to change the venue if it's not ice-free for the event. There is still pleanty of room for more participants, so please consider signing up for this fun and informative event! Its a gorgeous lake with some beautiful fish. I wish my plans hadn't gotten mixed up and I have to miss this one.